Another boring cocktail party? Not when you hire Boom Creative to provide graphic design services for your next event! The Alumni Foundation at Cleveland Heights High School wanted a poster that brought some excitement to a rather traditional event. 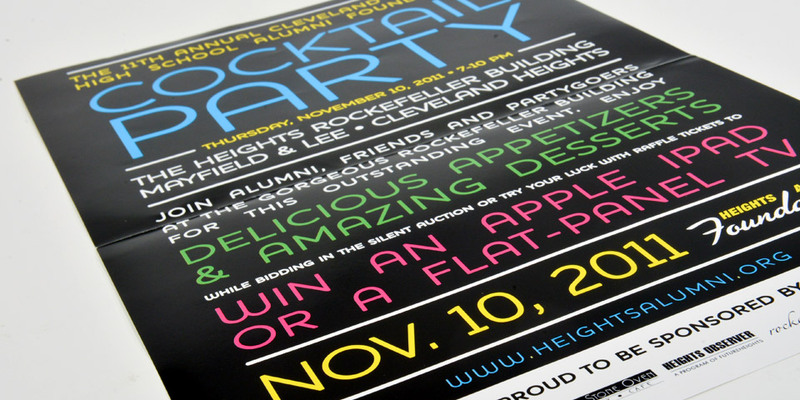 We used dynamic colors and typography to create flair and fun. Looking for an educational marketing firm for high schools or universities? Talk to Boom Creative! We have a unique ability to communicate with students, teachers, parents and alumni. We know that the communications objectives vary with each audience, and that the institution has different goals with each marketing piece.